“Big Data” is often talked about reverently and passionately by its exponents and its supporters. According to them, “big data” can solve a myriad of economic and social problems; it will mean a faster and more efficient digital economy that is responsive to the needs of both consumers and producers. Industry will love “big data”, we are assured, because it will mean less waste, more targeted advertising, and a better “fit” between knowing what consumers want and the ability to stock retail shelves with the right goods. For service providers, “big data” means easier connections with those seeking their help and expertise. In short, “big data” is wonderful, it will benefit all of us and there’s nothing to worry about. 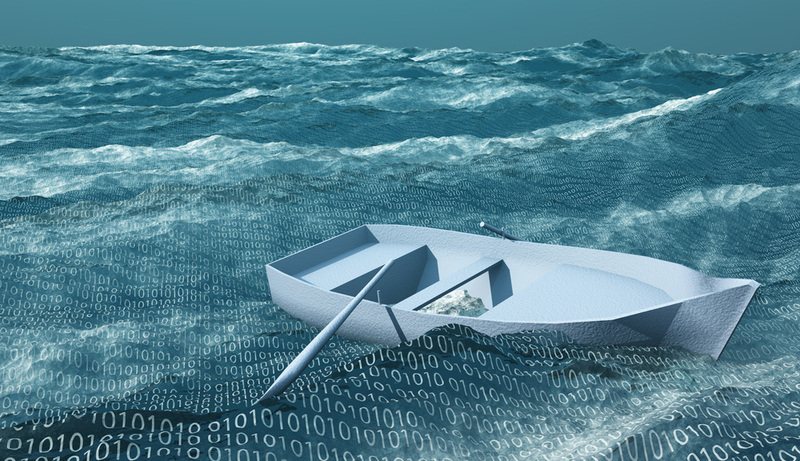 If this sounds too good to be true, it’s probably because it’s more than likely we haven’t yet found the hidden fish hooks – the problems and worrying unanswered questions – that might cause us to think twice before jumping into the “cloud” with the “big data” enthusiasts. “Big Data” refers to the vastly expanding mountains of information that can today be gathered and stored on fast-running servers (supercomputers) and in the “cloud”. The “cloud” is another term that needs some discussion in this context because it is everywhere and nowhere at the same time. Cloud computing and “big data” go hand-in-hand. The “cloud” is a fancy name for off-site storage of data using a network of supercomputers. Several companies are now offering retail cloud services, including Google and Apple’s iCloud. Big Data is the type of material that can be stored in the cloud and retrieved via the public Internet or over a secured point-to-point private system. 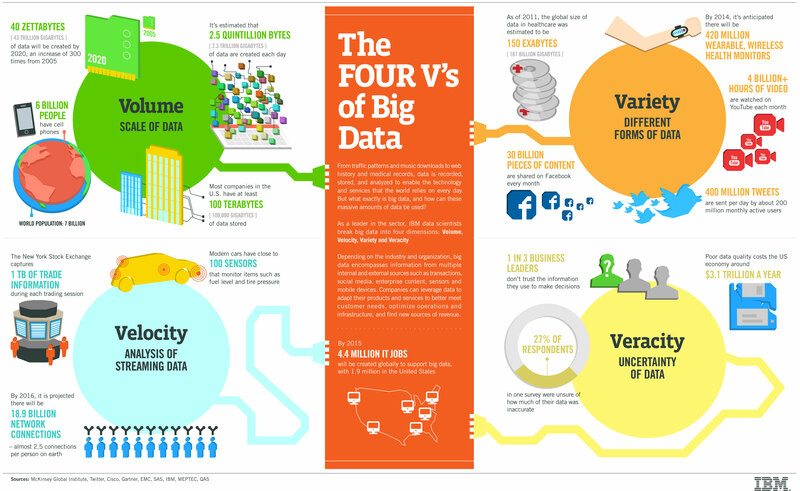 Big Data is often associated with the “three Vs” of information architecture – volume, velocity and variety. Volume is just that – the exponentially growing amount of information that we generate each day through online transactions, social media interactions, emails and files that we send and receive. This represents a business opportunity for some and, to others, a vast trove of secrets to be uncovered. Velocity is about speed – the pace at which new data is created and exchanged in both structured and unstructured ways. Harnessing this speed is also a business opportunity. On the global money-trading market, for example, an advantage of just seconds can mean the difference between a profit and a loss on any one transaction. Variety is also about complexity as data comes in many forms – some are innately useful (e.g. documents, plans, financial records) while others are less structured (e.g. our tweets and Facebook status updates, our online “likes” and Instagram snaps). However, being able to marry these things together is what “big data” is really all about. If it is possible to know where I am, who I am connected to via social media, what I like to spend my money on and, more importantly, how much disposable income I have, then my data becomes a marketing goldmine. When all of this is connected to my GPS-enabled smartphone, and my every move can be monitored, I cannot escape the siren call of seductive advertising that is all about “me”. It’s personalised to my tastes and it is designed to empty my virtual wallet quicker than I can refill it at the end of a working week. So at the heart of “big data” is another important definitional “V” word – “value”. No amount of data is worth more than the bytes it’s assembled from unless you can do something with it. And in terms understood implicitly in a capitalist economy, “doing” something with the mountains of data now stored in the “cloud” means monetising it. Data is monetised when value can be added and subtracted. By turning data into a commodity it can be priced, bought and sold. In other words, somebody, somewhere will be making money from the data – mine, yours and everyone else’s. At this point we lose control over our own data; we become the objective of big data and cloud computing, not its subjects. Our data belongs to someone else and what they do with it is entirely up to them. Did you read the fine print before signing up to Facebook or that new cool app for your phone that allows you to locate the nearest new cool bar? No? I didn’t either, and most of us don’t. In fact, those who control “big data” would prefer we didn’t read the T&Cs. That’s why they are usually a gazillion pages long in 6-point type, and all the nasty bits are buried so deep in that you’d need a team of lawyers and a million dollars to read and understand them. In short, what you are doing when you lazily click “Agree” is giving away all and any rights now and in perpetuity to the data that you are about to hand over to Faceless Corporation.com. What they then do with your data is none of your business, even though it is all about your business. Everything that Faceless Corporation.com knows about you and every new bit of information that you share when you use their apps and visit their website is suddenly part of “big data” and it now has value. When the insignificant tidbits you share on social media are all aggregated, sorted, mashed, crunched and scrunched, the analysts at Faceless Corporation.com know more about you than your grandmother, and perhaps even more than your GP. This information can then be sliced, diced, interpreted and amplified by new incoming data. It is then packaged up by Faceless Corporation.com to be commodified and on-sold to someone else – let’s say Buy This Junk.com – who will then bombard your inbox or your Facebook or your Twitter feed with advertising for their own products and services. If you, for example, use Buy This Junk.com to order a new widget then within days, if not hours, if not minutes, you will see in your social media feeds advertisements for widget-holders, widget-cleaners, widget reseaters and all kinds of widget-related paraphernalia that you didn’t even know you needed. But now, at least you know why this is happening: Faceless Corporation.com sold your data to Buy This Junk.com and they, in turn sold your data to the companies that service the wide world of widgets and widget fanciers. Of course this is an endless chain. If you were to buy some widget-cleaning goop from Widgets R’Us.com they will, in due course, also be packaging up data about you and your widget-keeping habits. The next thing you know… well, you get the picture. My example might seem trivial, but the point I’m making is not. Big Data is about recording, storing, surveilling, quantifying and monetising every aspect of our lives beyond anything we might have imagined even a decade ago. There is literally no place to hide anymore, unless you go completely off the grid. There is a carrot-and-stick effect associated with “big data” that makes going “off-grid” unattractive, if not almost impossible. If you don’t agree to the T&Cs you don’t get the benefit, the goods or the services. Now it is getting worse because we are moving in the direction of a “cashless society”; everything will be done from smart cards, smartphones or even (if the scientists are right) from implanted biometric chips that store our credit and our identities and that are always on and always scannable. If there is GPS tracking as well then, short of digging out the chip with a scalpel, we can never disappear. This is the beginning of what I have described as the “surveillance economy” – a capitalist system in which the drive to encapsulate everything within “big data” is the engine driving economic growth and profitability. In a system prone to crisis – as global capitalism inevitably is – “big data” looks to some like a panacea, the golden goose and the fountain of economic youth. Unfortunately, I do not share this utopian view of the surveillance economy and if you can read Robert O’Harrow’s 2005 book No Place to Hide you will begin to understand why. Control of “big data” is in the hands of global transnational corporations that operate to increase shareholder value, not for the benefit of the public interest. Big Data is being harnessed by these corporations in order to control economic activity now and into the future, and it is being done with the full knowledge, support and encouragement of governments around the world. Perhaps I don’t need to spend much time on this aspect of “big data”. Here in Australia we are now familiar with the Federal government’s recent moves to increase the data surveillance powers of ASIO, ostensibly to keep us safe in a dangerous world filled with terrorist threats. However, perhaps we should be alert to, and alarmed about, new laws that appear to give security agents the ability to monitor the entire internet on the basis of one warrant and to keep information about their spying activities out of the public domain. Critics of “big data” – in both its commercial and its government guises – argue that we will no longer have any real hope of personal privacy at the same time that secrecy surrounding the actions of corporations and government agencies is increasing. I agree with them. It’s clear from the documents provided by the brave and vilified whistleblowers, Chelsea Manning and Edward Snowden, that Australia is heavily involved in the so-called “Five Eyes” syndicate of Western powers who are also the leading nations prosecuting yet another war in the Middle East on the pretext of fighting global terrorism. This alliance is led by the US National Security Agency (NSA), which is the world’s leading financier of research into making the collection and storage of “big data” even more efficient. In fact, there’s another book that you should read that can explain all of this in much more detail than I can in the space left to me here. The book is also called No Place to Hide by American journalist Glenn Greenwald, who worked with Edward Snowden on the release of the NSA’s files last year. What he discovered is quite shocking. The NSA works to the principle of “collect everything” and is in the process of making this slogan a reality. I worry about this and I think you should too. The alternative to dropping off the grid is to stand up and take back control over your own data. It’s not going to be easy, but we have no choice. On July 10, 2011, Rupert Murdoch closed the News of the World, one of the biggest selling tabloids on the globe, once the newspaper had used up its store of public trust. The paper was accused of, and later admitted that a culture of illegality had engulfed its newsroom. Phones were routinely hacked and journalists paid public officials for information on celebrities and other citizens. The News of the World scandal triggered over 100 arrests of journalists, police officers, private investigators, and public officials. It also initiated a wave of inquiries into journalistic practices and standards in several countries. This article will summarize the two inquiries into media practice and standards in Australia, and consider the impact on democratic discourse when ownership concentration of media companies reaches high levels. This is my recently published piece on technological determinism and revolution – case study of the Arab Spring. This paper discusses the problematic influence of technological determinism in popular news media coverage and analysis of the Arab Spring events of 2010-11. The purpose is to develop insights into how and why elements of a ‘soft’ technological determinism inflect both journalistic practice and news discourse in relation to the Arab Spring. In particular it discusses how the ‘bias of convenience’ and a journalistic obsession with the ‘continuous present’ connect with this determinist inflection to create a potential distortion in the journalists’ ‘first rough draft’ of history in relation to significant and complex events such as social revolution. Debates about the significance of social media and communications technologies more broadly in generating mass outbursts of protest and even violence have raged in the popular news media for the past decade at least. A wave of interest in ‘theories’ about how and why new services like Facebook and Twitter may create or enable mass protest was generated by the revolutionary events in Iran following the June 2009 elections (Hirst, 2011). Many of the arguments then and now, in coverage of the Arab Spring, are suggestive of a form of technological determinism that is coupled with other underlying and little-investigated assumptions inherent in most forms of news practice and discourse. The question of the influence of technological determinism within journalism studies is a far from settled debate and this paper follows Mosco’s argument and suggests that the idea of a social media revolution is a myth of the ‘digital sublime’ (Mosco, 2004). 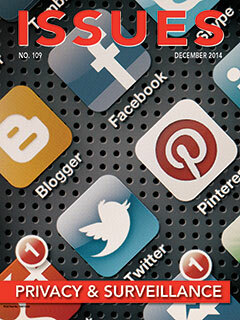 At best social media is a new battleground in the struggle for information control. At worst it can blind activists and commentators to reality (Morozov, 2011). For the last 12 months we’ve been warned on an almost daily basis that the sky is about to fall in on media freedoms in Australia, but what does the legislation before parliament this week actually propose? There is one simple purpose to this legislation and it is not to stifle freedom of the press. Instead this bill simply creates the conditions under which the Public Interest Media Advocate (PIMA) can declare that an organisation is a “news media self-regulation body”. The definition of a self-regulator rests on one condition: the body must have a self-regulation scheme that is binding on members. The only other function of this bill is to remove a news organisation’s exemption from some provisions of the Privacy Act 1988 if it is not a member of a self-regulatory body recognised by the media advocate. The effective clause of the Privacy Act is 7B(4) and as it currently stands, a news media organisation is only exempt from some Privacy Act provisions if it adheres to public standards. This new bill changes nothing in that regard. 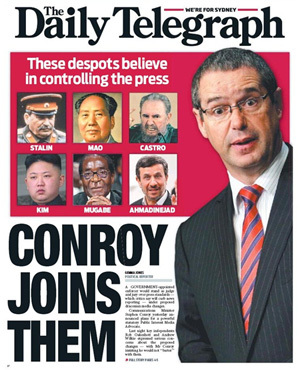 Well Communications Minister Stephen Conroy has finally let the skinny, de-clawed and highly-stressed cat out of the bag. This week he has announced a raft of media reforms that will be introduced into Parliament in a series of piecemeal bills designed not to offend anyone. Australian print and online news organisations will continue to be self-regulated through voluntary membership of a press standards body, which is likely to be the tame-cat and toothless Australian Press Council. The announced reforms are the government’s official response to the Convergence Review and Finkelstein Inquiry into the media in Australia. But the proposals are watered down, wishy-washy and look like something the cat dragged in. Fairfax launched its new compact size in a week where Victorian politics dominated the national agenda, making it a very good time to consider just how Melbourne’s former broadsheet, The Age, fared with its now similarly sized competitor, the Herald Sun. 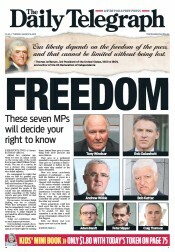 The re-launch of The Age as a compact was never about being the biggest selling newspaper in Melbourne. There’s no way The Age can compete with the genuinely tabloid Herald Sun. The Herald Sun is a modern giant among Australian newspapers: its audited Monday to Saturday circulation hovers around the 450,000 mark. That adds up to more than a million readers every weekday. The Age sells roughly one-third: Monday to Friday (157,000) and about half (227,000) on Saturday. Readership is about half too: 566,000 Monday—Friday and 720,000 on Saturdays, according to Audit Bureau figures. So the driver of this week’s move was re-attaching Age readers who’ve let their subscription lapse, or who hated the unwieldy broadsheet. The Fairfax Media AGM took place in Melbourne today against a backdrop of financial meltdown in the company’s fortunes. The share price — currently at 38 cents — has halved since the beginning of the year. That’s not such bad news if the stock is actually worth something. But when the fall is from 80 cents to less than 40 cents, it’s a calamity piled onto a disaster. However, you wouldn’t necessarily get that impression from the soothing opening remarks by chairman Roger Corbett, who told the small Melbourne audience of shareholders that despite the ravages of an “annus horribilis”, Fairfax Media is in good shape and in good hands. That’s like Monty Python’s black knight claiming “it’s only a flesh wound” as he bleeds out, limbless on the forest floor. You are currently browsing the archives for the Digital Dilemmas category.